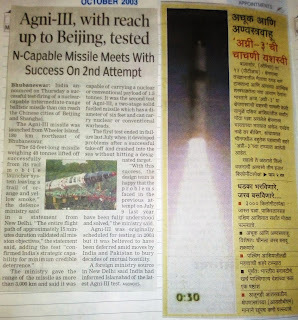 The first test of Agni-3 missile failed in year 2006. The first stage of the rocket failed due to re-circulation of hot exhaust gases inside missile. The second test on 12th April 2007 included protection from above said re-circulation and was a success. The exact range of the missile is classified but publicly accepted to be more than 3000 km.